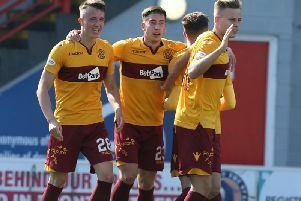 Motherwell fans will get their chance to pay tribute to Keith Lasley on Saturday when Fir Park hosts a testimonial match for the ‘Well skipper. English championship outfit Bolton Wanderers, managed by ex-Celtic boss Neil Lennon, provide the opposition for the match. Lasley has racked up almost 400 appearances in two spells with the club, either side of a two-year ‘break’ at Plymouth fom 2004 to 2006. Motherwell defender Stephen McManus is in no doubt how deserving his captain is.